Difference between revisions of "Series EV2"
| [[File:Chilling_Strikes_Sphere_1.png|thumb|]] ||Chilling Strikes Sphere 1: 10% chance on hit to chill target for 2 seconds, slowing them by 35%. | [[File:Oiling_Strikes_Sphere_1.png|thumb|]] ||Oiling Strikes Sphere 1: 10% chance on hit to oil target for 2 seconds, slowing them by 35%. | [[File:Panic_Fire_Sphere_1.png|thumb|]] ||Panic Fire Sphere 1: 15% chance when defenses damaged to increase Defense Speed by 100% for 5 seconds. | [[File:Press_Your_Luck_Sphere_1.png|thumb|]] ||Press Your Luck Sphere 1: 30% chance when defenses damaged to increase Defense Crit Chance by 30% for 5 seconds. | [[File:Heat_Dispenser_Module.png|thumb|]] ||Heat Dispenser Module: EV2 upgrades her gun with a new heat dispenser module that drains 50% more heat with each primary attack. | [[File:Proton_Charge_Deflect.png|thumb|]] ||Proton Charge Deflect: EV2 upgrades her Proton Cannon to deal an extra 350% of your Ability power stat as damage and its max range is increased by 30%. | [[File:Bots_of_Oil.png|thumb|]] ||Bots of Oil: EV2 switches her Grav Bots for those of Oil. When they explode, they now deal damage and cover enemies below with oil. | [[File:Dummies_And_Bots.png|thumb|]] ||Dummies And Bots: EV2s Death From Above ability now spawns 4 of her Gravity Bots in a plus formation around the dummy. These do not count towards the cap on the number of Bots she can hold. Lore: Series EV2 is a self-aware robot tasked with protecting the Sky City. With a machine-like intensity, EV2 constantly modified herself and upgraded her defense systems. Her feature set includes servo-reductive protonic engines, prismatic-shielding, hi-definition laser optics, and Mana-infused allow plating. Series EV2 has pushed herself far beyond her original limitations. Series EV left the heroes behind to seek out her creator after facing the limits of her original design. Despite her creator's absence, EV discovered his final gift - his workshop. With time and patience, EV rebuilt herself with a new arm cannon, body, and upgraded defensive and offensive capabilities. Series EV2 blasts through anyone foolish enough to stand in her way. Anti Gravity Bots: EV2 fires bots that lingers in place until she shoots them. When they detonate they deal damage based on your Ability Power and Hero Damage Stats. Warning: Detonations will chain. Death from Above: EV2 leaps into the air leaving a decoy behind her that taunts nearby enemies and detonates after a while dealing a percentage of your Ability Power stat as damage. 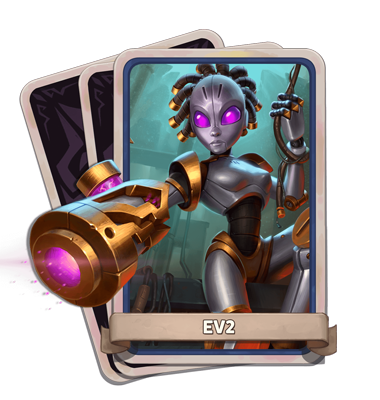 Proton Charge: EV2 enters siege mode and her arm cannon morphs into the Proton Charge firing a large beam that deals damage based on Ability Power & Hero Damage. 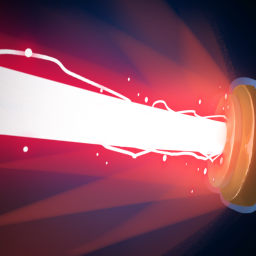 Proton Beam: EV2 builds a Proton Beam chain that slows and deals damage to enemies inside it. 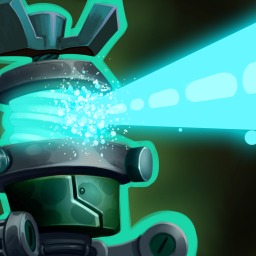 Reflect Beam: EV2 builds a Reflect Beam chain that will reflect any enemy projectiles that come in contact with it. Each node detonates as a projectile passes through the chain. Buff Beam: EV2 builds a Buff Beam chain that empowers defenses it passes through giving them a percentage of her Defense Power stat and increasing their attack speed. 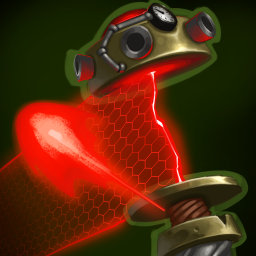 Weapon Manufacturer: The Weapon Manufacturer gains charge when enemies die inside its damage aura. When fully charged, it will either build the Mega Death Laser or Atomic Launcher for EV2 to utilize. 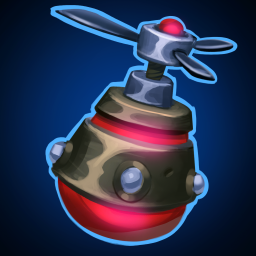 Chilling Strikes Sphere 1: 10% chance on hit to chill target for 2 seconds, slowing them by 35%. Oiling Strikes Sphere 1: 10% chance on hit to oil target for 2 seconds, slowing them by 35%. 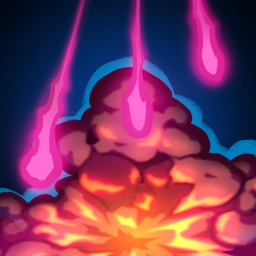 Panic Fire Sphere 1: 15% chance when defenses damaged to increase Defense Speed by 100% for 5 seconds. Press Your Luck Sphere 1: 30% chance when defenses damaged to increase Defense Crit Chance by 30% for 5 seconds. Heat Dispenser Module: EV2 upgrades her gun with a new heat dispenser module that drains 50% more heat with each primary attack. 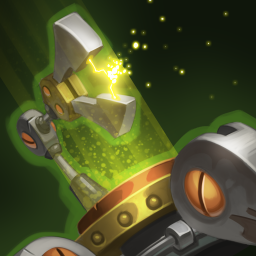 Proton Charge Deflect: EV2 upgrades her Proton Cannon to deal an extra 350% of your Ability power stat as damage and its max range is increased by 30%. Bots of Oil: EV2 switches her Grav Bots for those of Oil. When they explode, they now deal damage and cover enemies below with oil. Dummies And Bots: EV2s Death From Above ability now spawns 4 of her Gravity Bots in a plus formation around the dummy. These do not count towards the cap on the number of Bots she can hold. 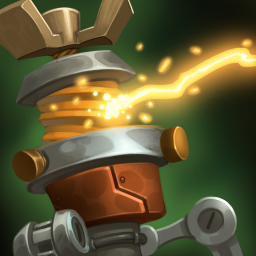 Overcharge Increases damage done by Proton Charge up to % the closer EV2 is to Overheating. Manufacturer's Malfunction EV2's Weapon Manufacturer deals an additional x Storm Damage and has a 20% chance to stun enemies for 5 (possibly variable) seconds.